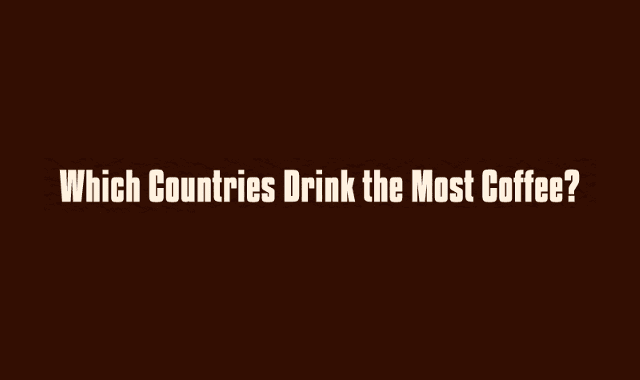 Which Countries Drink the Most Coffee in the World? #Infographic ~ Visualistan '+g+"
Many people around the world start their day with a nice, hot cup of coffee. For some people, coffee is a one-cup-and-done experience. However, the same is not true around the world. 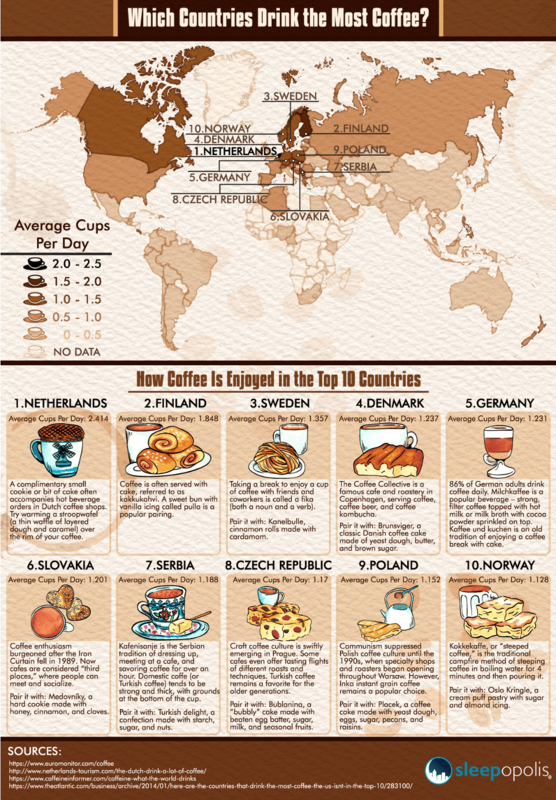 In fact, coffee consumption varies quite extensively from one country to another. Have you ever wondered how your coffee consumption compares to others around the world? This infographic from Sleepopolis.com answers that exact question! For example, people in the Netherlands average 2.4 cups of coffee per day, which puts the country in first place in terms of daily coffee consumption worldwide. Almost as important as how we take our daily coffee is the tasty food we pair with it! Whether it’s a cinnamon roll, a cake or bun, a cookie, or a puff pastry, the options vary around the world. You can find inspiration to change up your daily routine by exploring some of the popular coffee and food pairings from around the world. Enjoy!